Delegates and attendees at the 2010 General Conference in La Ceiba, Honduras. The United States churches are part of the Church of the United Brethren in Christ, International. This is a worldwide fellowship of United Brethren national conferences. They meet together in a meeting called General Conference. General Conference meets every three years. Each of the 10 constituent national conferences take part. Each national conference can send two voting representatives–it’s highest elected leader, and one other person. 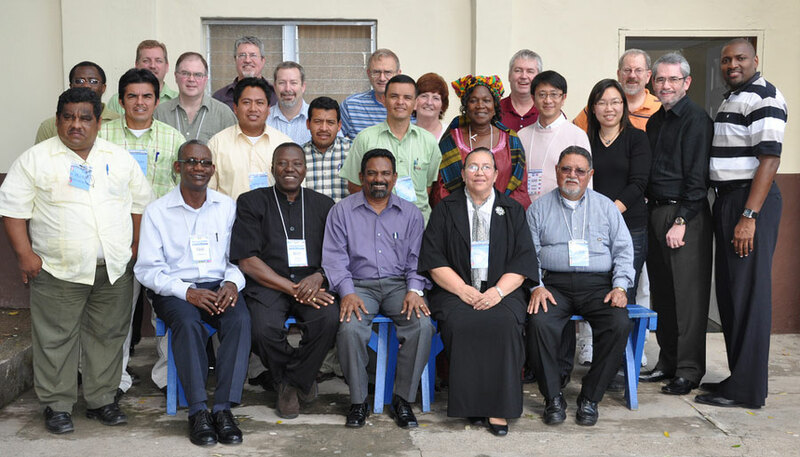 The delegates mainly meet for fellowship and to encourage joint ministries. Very little business occurs. Four governing documents exist at this level: Confession of Faith, Core Values, Constitution, and International By-Laws. Until 2001, there was no separation between the United States and the rest of the world. Delegates from every country met together every four years in Huntington, Ind., for the General Conference. In 2001, we adopted a truly international structure. The churches in each country became a separate national conference, and the various national conferences were bound together by a set of international governing documents. At that point, the General Conference became a solely international gathering. The churches in each country would hold their own national conference meeting.